When training for a 5K, or any type of race, your feet are your #1 ally. Many runners (and athletes of all kinds, for that matter) take their feet and toes or granted, and don’t realize how much pain and discomfort they can inflict when they are aren’t well cared for. Black toenail is one of the most common problems runner’s face when it comes to their feet, and they can happen to runners and race trainers of all types. Even if you’ve never had black toenail before, it’s important to know what it is and how to prevent it if you are going to start training for any kind of race or fitness plan. Below are detailed tips to help prevent and treat black toenail from running. What Causes Black Toenail ? Before we get to the prevention and treatment, let's quickly go over how black toenail is caused. If you have ever smashed a finger or toenail before, you know exactly what a black toenail looks like. The first sign of it is a dark purple, green or black color that appears under the nail and hurts when pressure is applied. This is a result of bruising under the nail from having too much friction with your running shoes. Unlike a normal bruise, blood blisters that form underneath your nail have no room to swell or “breathe” so they tend to be more painful and take much longer to heal than a normal bruise. Typically, they last until the nail falls off due to a new nail growing in. While the biggest contributor to black toenail is improperly fitted running shoes, they can also appear from wearing the wrong socks, doing a lot of downhill running, or from training intensely or for long distances at a time. How to Prevent Black Toenail From Running ? The best way to prevent black toenail, is to make sure you have the right running shoes. Make sure you select shoes that are ½ to a full size larger than your regular size. There should be about a thumb’s length between your longest toe and the end of the shoe, and you you should have plenty of wiggle room for your toes. Heat and humidity make your feet swell, which allow them to make more contact with the roof and front of your shoes when running. No matter what the climate is, your feet will most likely get hot and sweaty in your shoes when you are working hard, so make sure to wear quality moisture wicking, temperature regulating socks and avoid cotton socks. Keep your toenails trimmed and clean. If you can feel your toenail making any contact with the roof or front of your shoe when you run, you are asking for black toenail. Keep your feet moisturized with a good lotion or oil. This is a good way to keep your feet’s skin and nails healthy and less likely to separate from the pressure that’s applied to them from your running shoes. Just don’t lather them up before you stick them in your shoes for a run, or else you will create a humid environment that is actually a contributor to the problem. 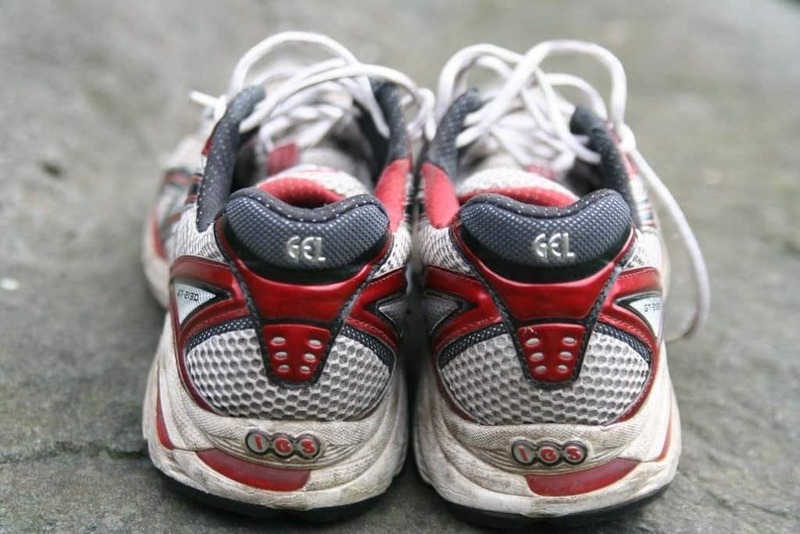 If you notice that your feet slide around a bit in your shoes, consider getting a rubber or gel insole, which tend to help keep your feet stay in place as you run. As with every other part of your body, your nails benefit from having a healthy diet. Having a diet rich in calcium and biotin will help keep your nails strong and resistant to injury. You can also receive these essential vitamins by taking a supplement, if black toenails are a regular problem for you. How to Treat Black Toenail From Running? Treat black toenail at the very first sign of bruising, and you might be able to save your nail from falling off completely. Treat the bruising with an antibiotic ointment and soak your feet in warm water mixed with peppermint essential oil, or a bath of peppermint tea. The use of peppermint is known to reduce hematoma (black deoxygenated blood) under the nail. Personal preference - I like to use the Majestic Pure Therapeutic Pepermint Oil. (amazon link) It serves as a great anti-inflammatory and there is not a strong smell like other brands. If it’s too late to reverse the bruising, then the best way to treat black toenail is to simply leave it alone and let it run it’s course. Do not force the old nail off or otherwise poke, pull or try to drain the blood. Doing so is painful, unnecessary, likely to cause infection, and will only prolong the healing process. Keep the nail bandaged and treated with antibiotic ointment until it falls of naturally. If you are experiencing a lot of pain, notice redness, swelling or infection - see a doctor. Draining the blood from the nail is an effective way to reduce the pain and swelling, but should be done by a professional in a sterile environment. This might be the toughest of the treatments - Lay off running while the nail is healing, and utilize cross training workouts. Use a pool workout, a stationary bike, or strength training as substitutes. Don’t worry about losing a week or two of running, cross training engages different muscle groups and can greatly increase your strength and endurance as a runner. It is recommended to utilize cross training throughout your entire training process to prevent injuries of all kinds. You can resume running when it is no longer painful to do so, but make sure you keep the damaged nail tightly bandaged and treated with antibacterial ointment. If the nail is partially disconnected from your nail bed, you can gently clip off the dead nail using sterilized clippers. You can also soak your feet in warm water mixed with epsom salt to help keep it clean and aid in the falling off process. Once the nail falls off, use a topical antifungal to make sure it grows back healthy. It takes about six months for the nail to grow back completely, and will likely be a little thicker than it was before. While it is growing back, it helps to take a biotin supplement, which is proven to help nails (and hair) grow faster and look healthy. 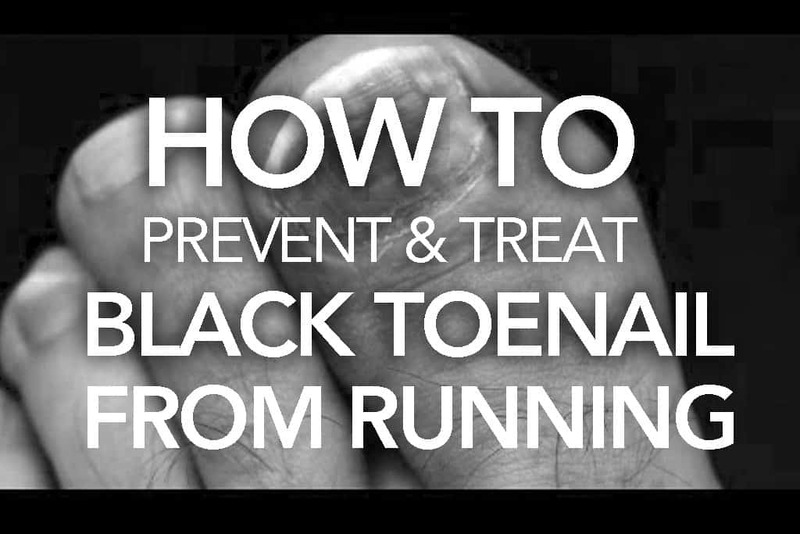 We hope these tips help you prevent and treat black toenail from running.